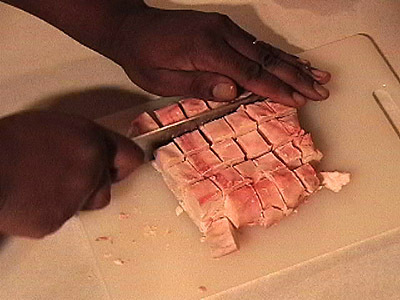 Tallow is rendered beef or mutton fat, processed from suet. Suet can be obtained from your local super market or butcher either really cheap or free! 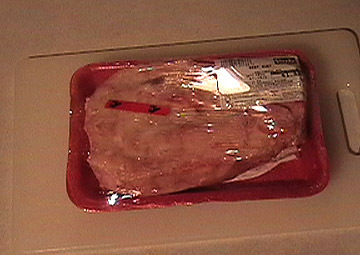 It can also be obtained from the fat of any large game you may have harvested like deer. The tallow derived from beef is called stearin. Unlike suet, tallow can be stored for extended periods without the need for refrigeration to prevent decomposition, provided it is kept in an airtight container to prevent oxidation. It can be used to make soap, for cooking, and making candles or primitive lamps. 1). First, you must obtain some suet. You can get suet at the grocery store or your local butcher. This package was barely $1 for 1.12lbs...very cheap. You can also get suet from any large or red-meat game you may have harvested such as deer, or elk. 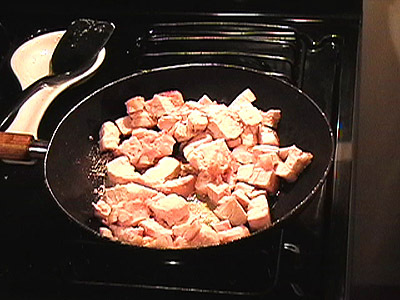 Pork or chicken will not work very well for tallow. 3). 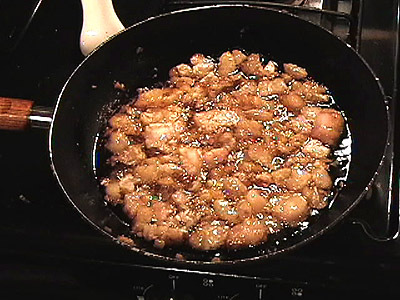 Fry the suet in a frying pan on medium heat. 4). Make a straining system. 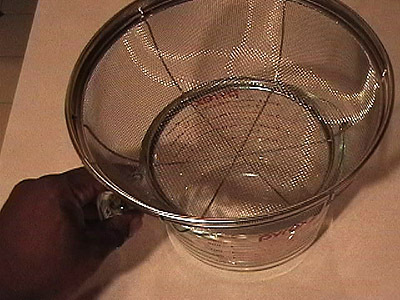 Here I am using a steel seive and a large measuring cup, then I will drape some sort of loose-woven fabric, such as cheese-cloth, over this system to enhance the strain. 5). Suet will quickly begin to fry and melt. The liquid formed is that we are after. 6). 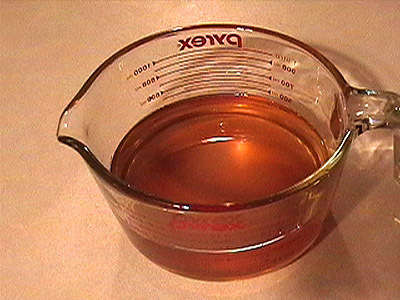 VERY CAREFULLY strain the oil from the solid matter. We are dealing with molten-hot oil, BE CAREFUL! I am using an old sheet over my seive and measuring cup to enhance the strain. Cheese cloth or muslin may be used as well. 7). Return the suet to your heat to completely fry down the remaining fat. I do this by gently pushing down the chunks with a spatula. CAREFULLY repeat the straining process until you just have little "cracklins" left. 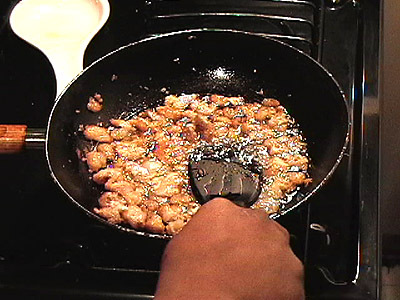 These cracklins could be seasoned and eaten--provide you are not on some low-fat diet or have high-cholesterol. 8). Allow to cool. You are dealing with molten hot oil here so be very, very careful. 1.12lbs of suet rendered 21/3 cups of tallow. 9). Voila! 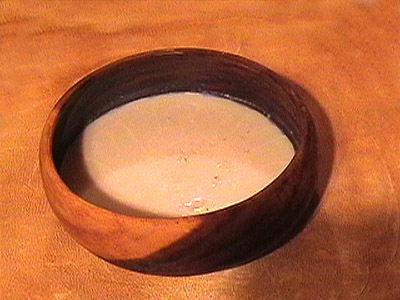 Finished, solidified tallow ready to use. Store covered in a cool, dry place. Tallow should keep indefinately and should not spoil or become rancid. Just be careful of oxidation.